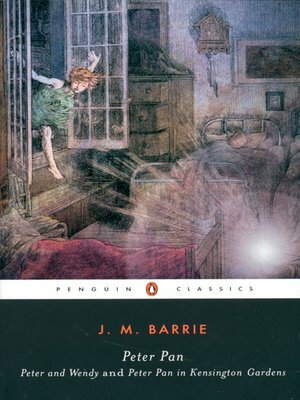 by J. M. Barrie Author · Jack Zipes Author of introduction, etc. Peter Pan originally appeared as a baby living a magical life among birds and fairies in J.M. Barrie's sequence of stories, Peter Pan in Kensington Gardens. His later role as flying boy hero was brought to the stage by Barrie in the beloved play Peter Pan, which opened in 1904 and became the novelPeter and Wendy in 1911. In a narrative filled with vivid characters, epic battles, pirates, fairies, and fantastic imagination, Peter Pan's adventures capture the spirit of childhood—and of rebellion against the role of adulthood in conventional society.